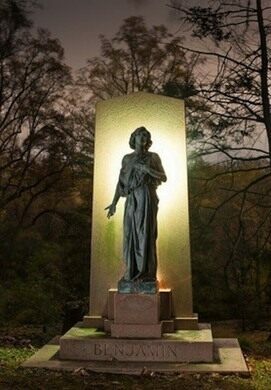 Join us for an adventure into the heart of darkness on the Hudson, through one of its most historic cemeteries. 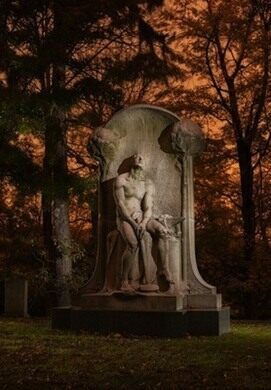 Join Field Agent Rachael Mare for a lantern-lit night tour of Sleepy Hollow Cemetery and learn some of the ghoulish stories interred in its history. Lit by the light of gas lanterns, we'll encounter both the victims and the perpetrators of heinous crimes, such as the flamboyant businesswoman remembered as "the wickedest woman in New York," as well as a debonair counterfitter, and an opera singer said to have killed several of her seven husbands. 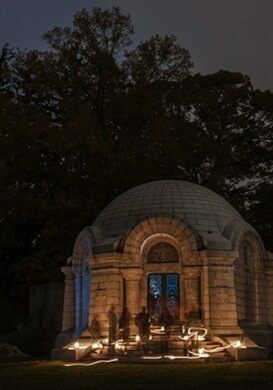 We'll also witness the scene of a grave robbery and learn of the victims of "the Mad Murderer of Sleepy Hollow." We'll be returning on an 11:10 pm South-bound train and should arrive back at Grand Central by about 12 am. 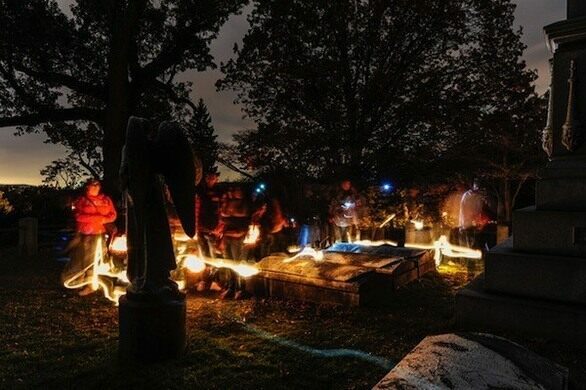 Be sure to wear comfortable shoes for cemetery walking!